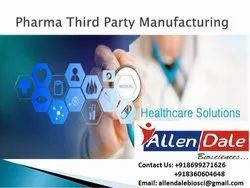 The business existence of Allen Dale Biosciences is led by Mr.Arvind K Sharma, who has been in this field from a long time. Under his guidance our organization have been able to achieve industry set targets. We are a leading organization of this industry just because of our mentor valuable guidance. We Allen Dale Biosciences are backed by a pool of well qualified and experienced professionals, these professionals possess vast knowledge of this domain. These are working together as a team; they are giving high results that’s why we are able to deliver our products on time. We are conducting seminars on regular intervals of time to keep update our workers with the ongoing market developments and trends so that they can stand with the ever-changing demands and needs of the clients.